Everyone has a cell phone or some type of electronic device nowadays. When we first get them let's face it they are pretty boring. One single color. In order to make our cases more personalized to our liking, I found Skinit. Skinit offers skins, cases, and much more for your electronic devices. You can even design your own by uploading photos. 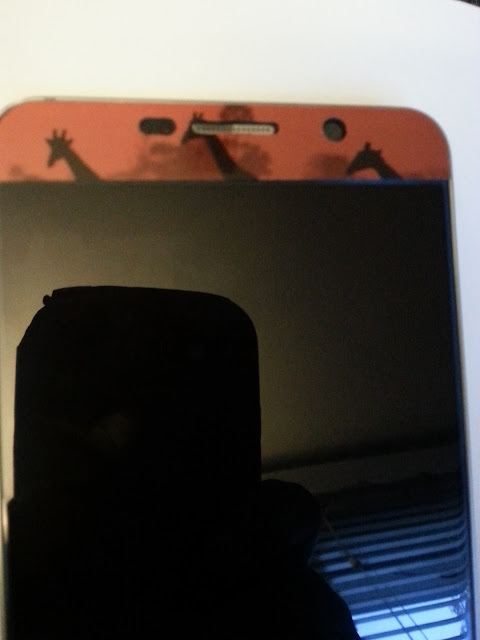 I have a slight obsession with giraffes so I knew I wanted to make my Samsung Galaxy Note 5 look adorable. I found the Giraffes Silhouetted at Twilight skin that would be perfect for me. Applying the Skinit is super easy. All you do is wipe your phone off, peel and stick. I love the way my phone looks now and it only took me about 2 minutes to make sure it was on properly. There is no losing my phone in a sea of other cell phones, mine is customized to fit my personality. Skinits sell for around $14.99 and come in just about everything you can think of. 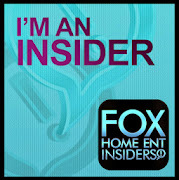 Sports teams, landscape, Holidays, Marvel, Hello Kitty and so much more. 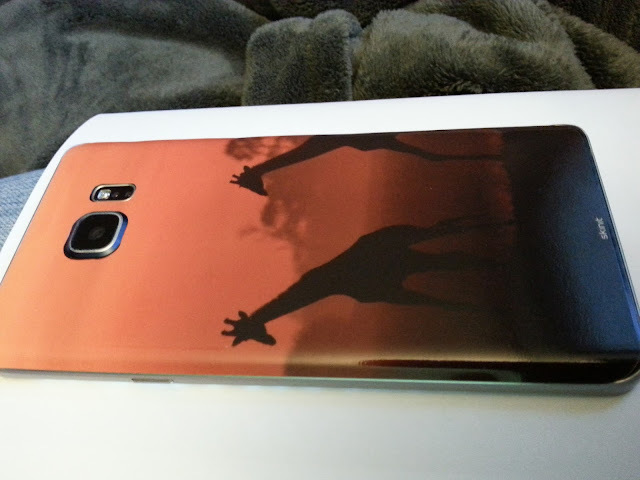 Not only does Skinit skins cover the back of your phone, it also covers the front. 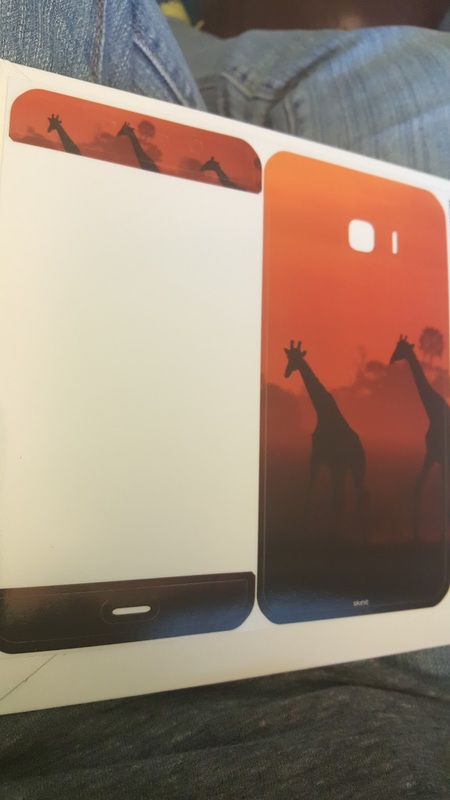 If you are looking for a great way to customize your phone at affordable prices make sure you check out Skinit!